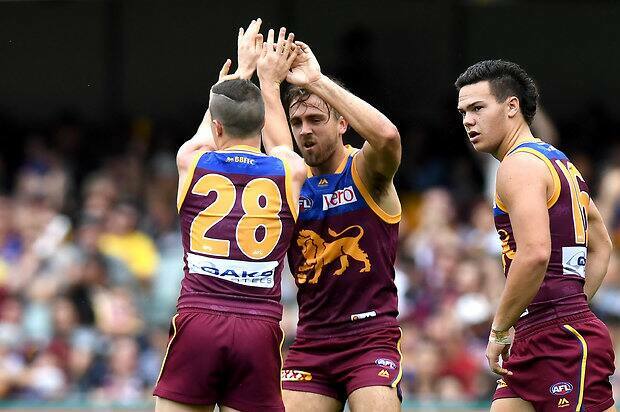 The Brisbane Lions have crushed Carlton by 65 points with a career day from Eric Hipwood and virtuoso showing from Dayne Beams helping the Lions to their first back-to-back wins since 2015. 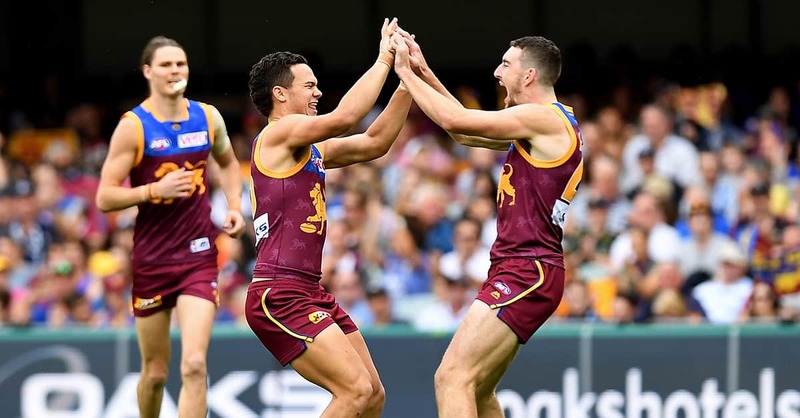 The Lions' 18.12 (120) to 7.13 (55) win was set up with nine unanswered goals after the 23-minute mark of the opening quarter until the Blues finally responded seven minutes into the third term. 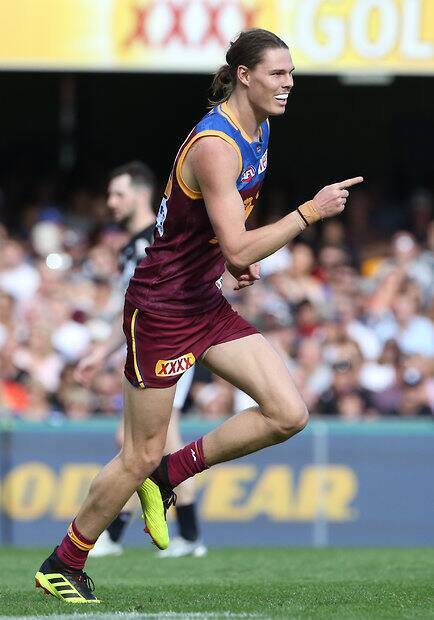 Beams put on a midfield masterclass, racking up 40 disposals and one goal and seemed to run around without an opponent for most of the day. 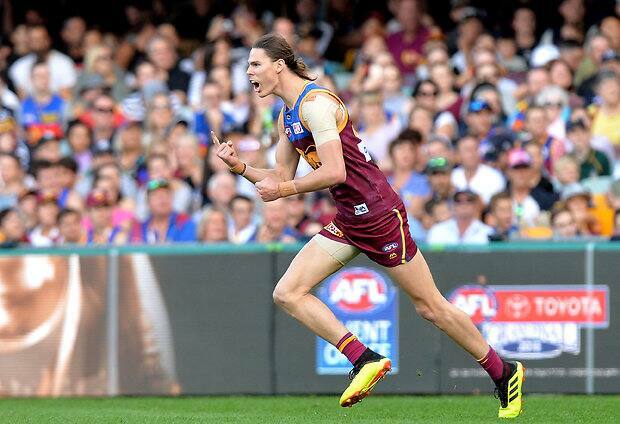 Hipwood delivered on every ounce of promise he has shown in his three seasons, kicking a career-high six goals. 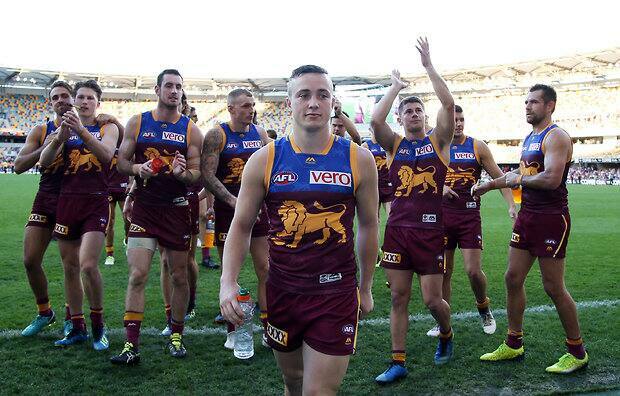 It was the most goals by a Lion since makeshift forward Dan Merrett bagged seven against a fledgling GWS in 2012, and Hipwood did it in every which way. 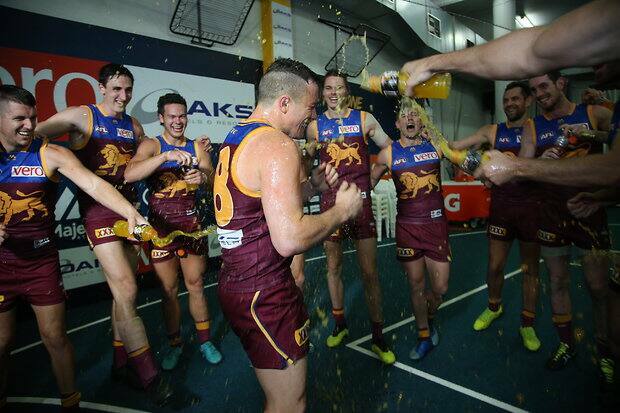 He took marks on the lead, scooped up an errant Liam Jones clearing kick to send it back over his head and even set up goals for teammates Tom Cutler and 100-gamer Lewy Taylor. 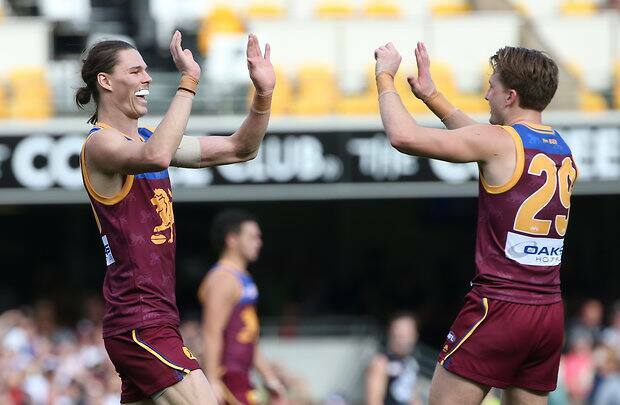 The Lions dominated most statistics, winning disposals 442-297 and taking a staggering 24 marks inside 50 to Carlton's eight, despite having less entries (49-51). 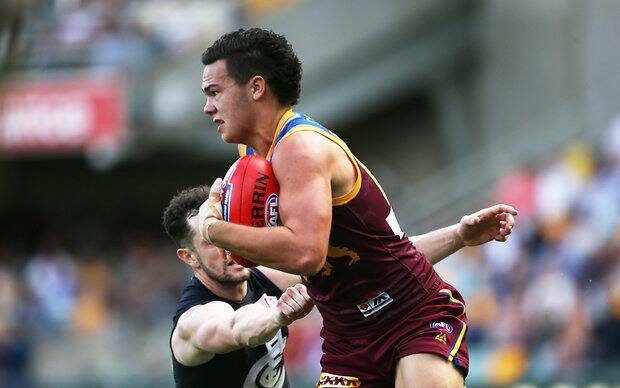 Coach Chris Fagan said backing up from last week's win over Fremantle was another big step for his young team. 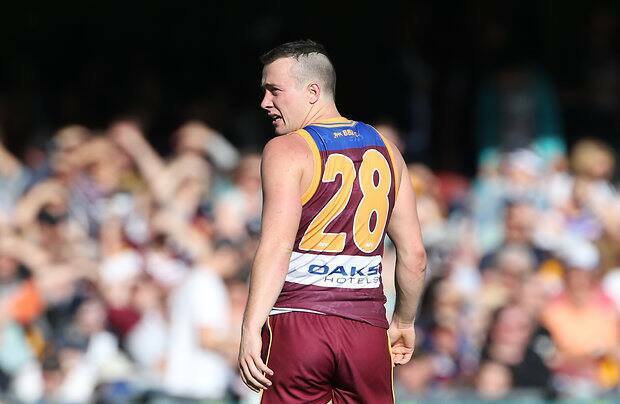 "After a tardy start, I thought our first quarter was pretty average. 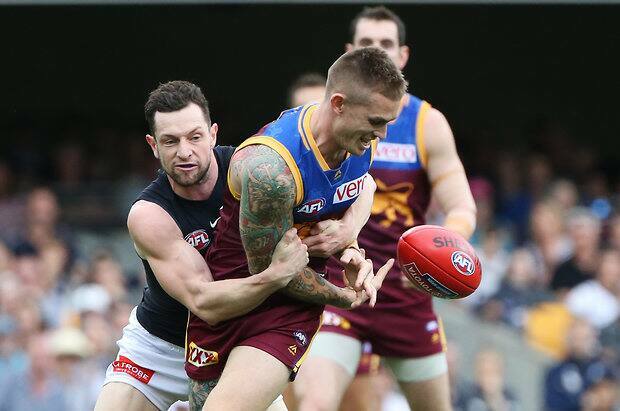 After that, I thought we played extremely well and deserved our win," he said. 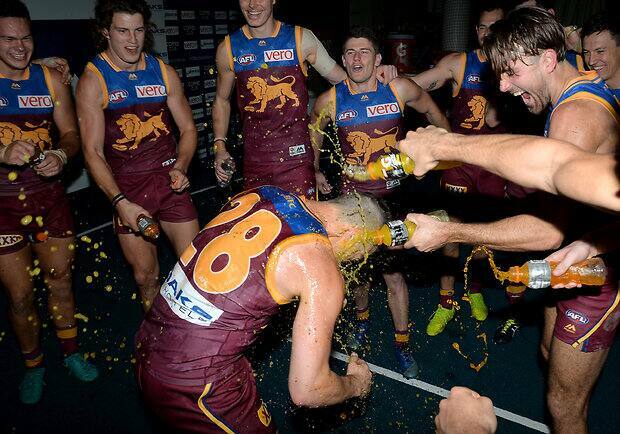 "I'm sure our players will get a bit of belief out of that. 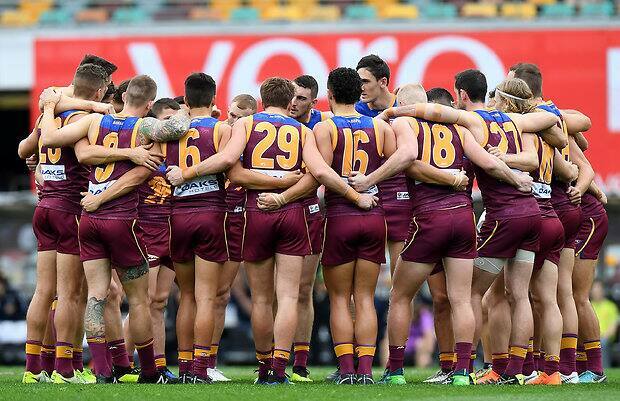 "That's the thing I'm noticing with our group, they're starting to become more mature as men and as footballers. 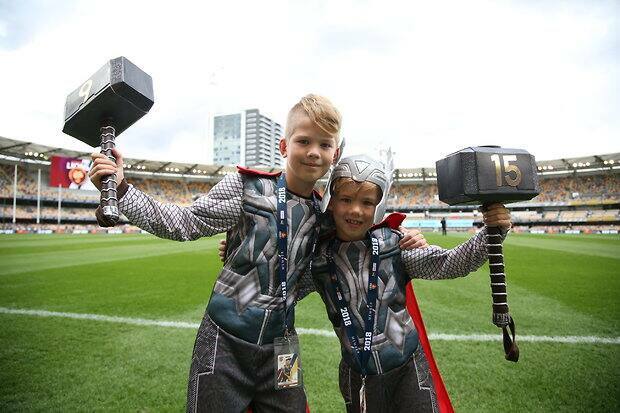 "I can sense in them they're really growing up in terms of their understanding of what's required to win week after week." 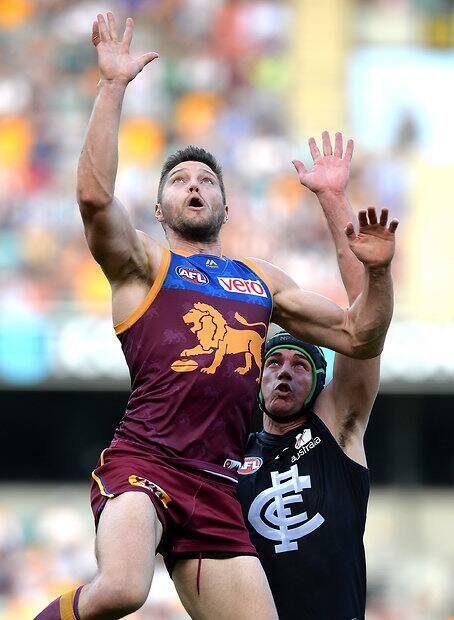 The Blues had the run of play in the first quarter but couldn't capitalise, and then totally fell apart. 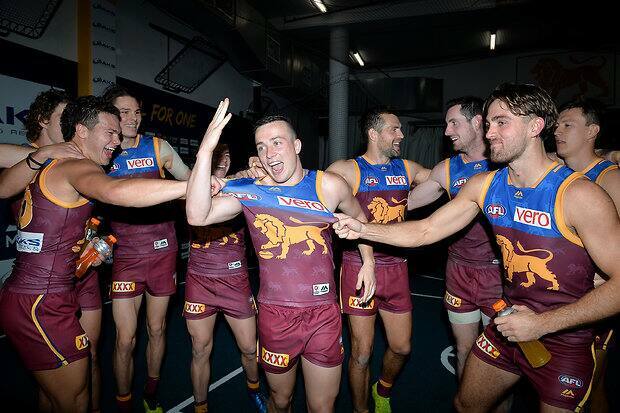 The Lions out-worked the Blues and over-ran them. 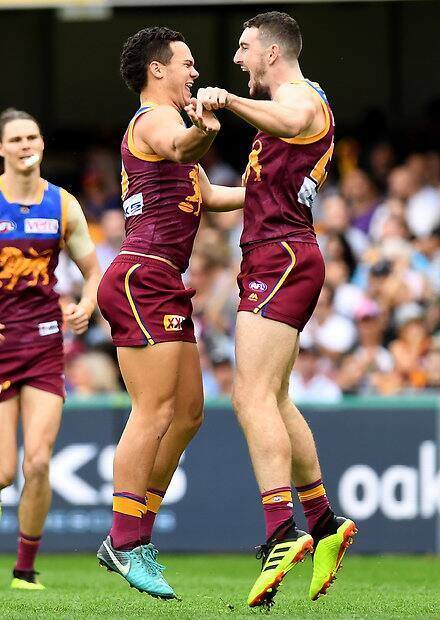 After 11 touches in the first quarter, Beams tore the game open in the second, adding 14 more, including a brilliant running goal from 50m on the right boundary line. 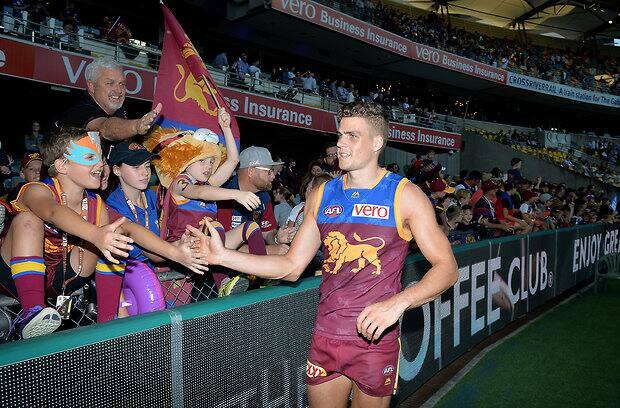 In the most difficult personal year of his life, the former skipper is playing some of his best footy, backing up last week's best on ground against Fremantle with a similar outing. 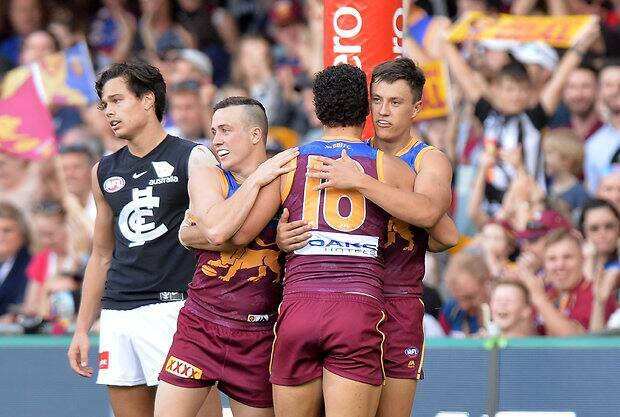 He had plenty of help in the midfield, with captain Dayne Zorko (25 touches, one goal and five goal assists) having a fine final three quarters, and Jarrod Berry keeping Patrick Cripps to 21 disposals with his second excellent tagging job in as many weeks. 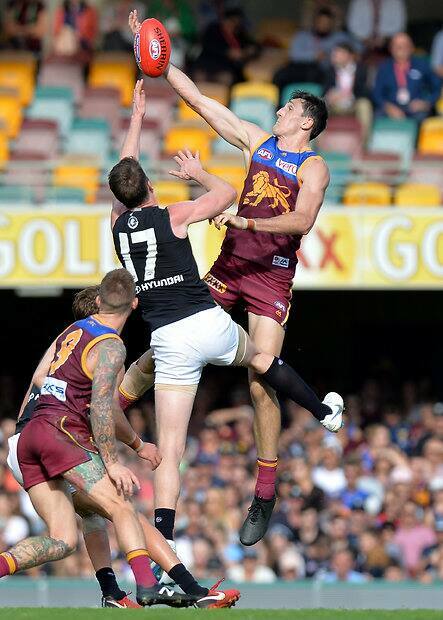 Darcy Gardiner (27) had the better of an enthralling duel with Charlie Curnow (three goals) who fought a lone hand in a Carlton forward line that saw precious quality football. 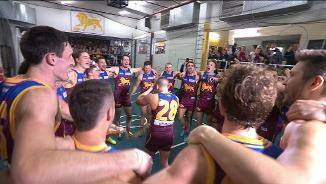 Brisbane Lions: No new injuries but Chris Fagan had a quick update on vice-captain Harris Andrews, saying he would see a neurosurgeon late in the week for an appraisal of his concussion. 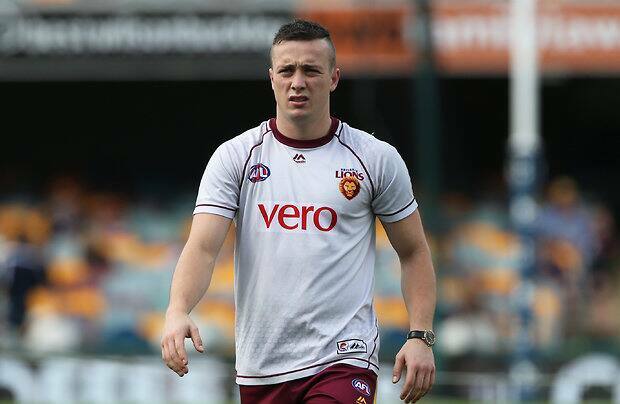 "I'd be surprised if he was right next week," Fagan said. 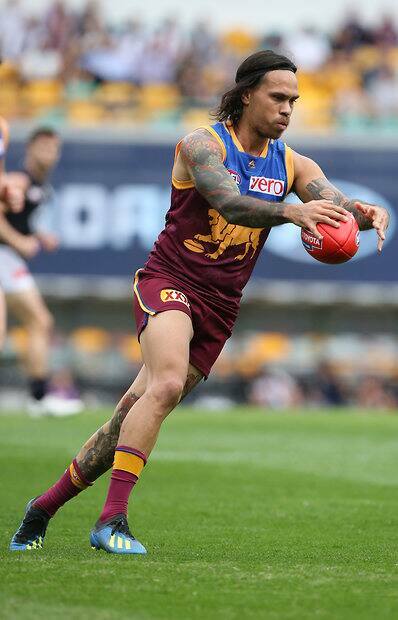 "We're not rushing him back." 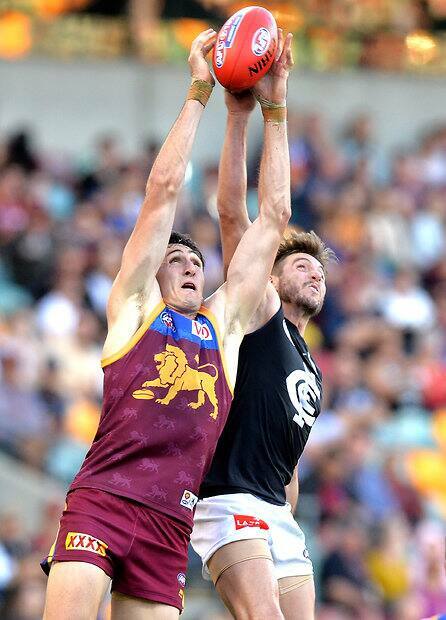 Carlton: It was quite a casualty ward for the Blues with towering Andrew Phillips (hamstring) going off in the first quarter and Jacob Weitering (calf) not returning in the fourth. 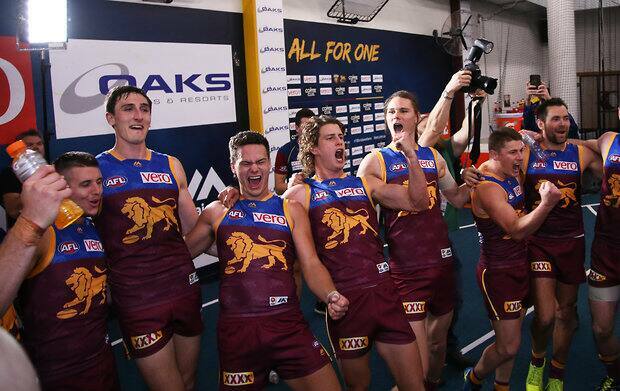 Kade Simpson (calf) was also a late scratching, while Caleb Marchbank was perhaps the most significant of all. 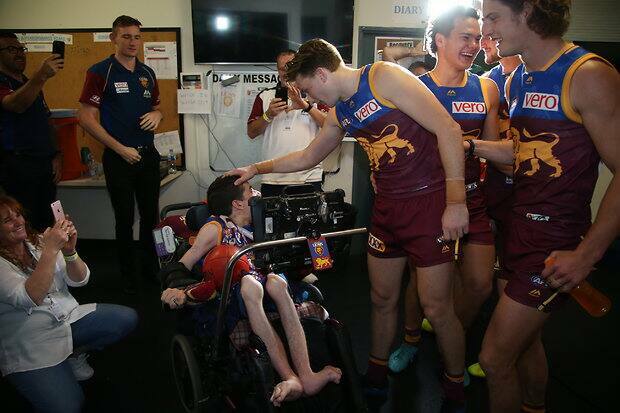 The young defender was off to hospital to get tests on his elevated heartbeat. 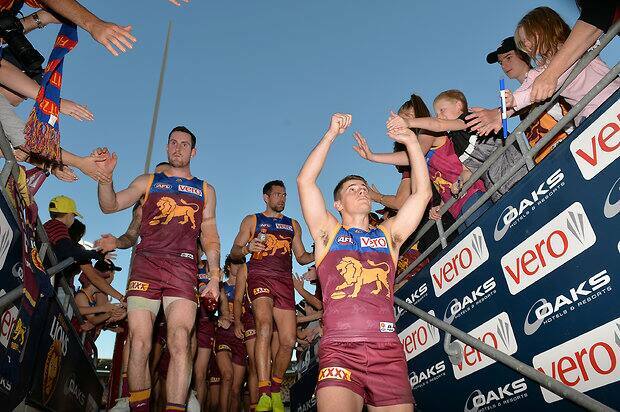 The Lions will try to make it three wins in succession next Saturday when they travel to Launceston to play Hawthorn. 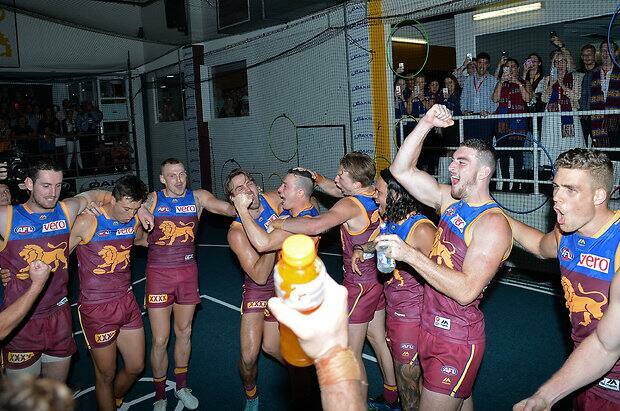 Brisbane won by 55 points when the teams met in round nine. 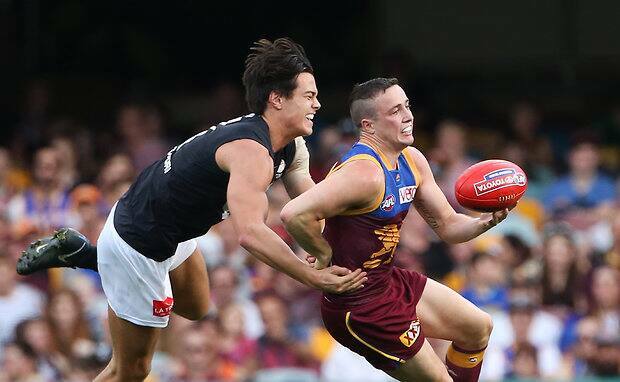 Carlton faces St Kilda in what looms as a lacklustre Friday night contest, but one that could also shape the bottom four. 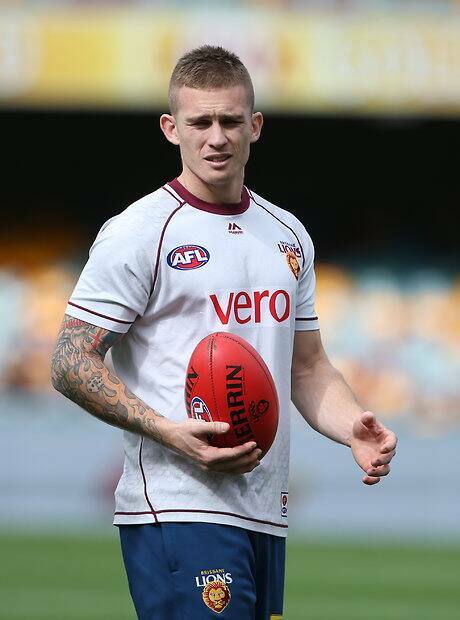 He may be in shining form on the field, but Dayne Beams is still doing it tough off it. 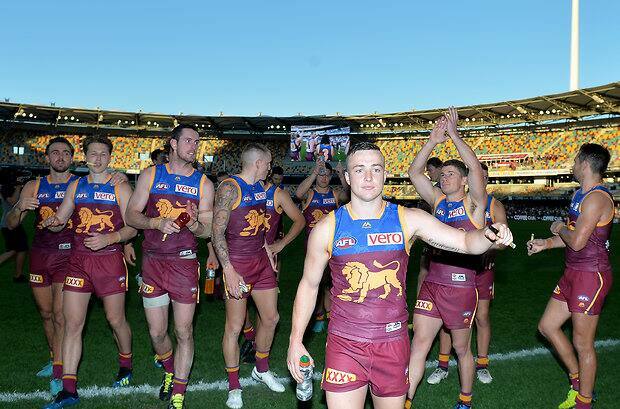 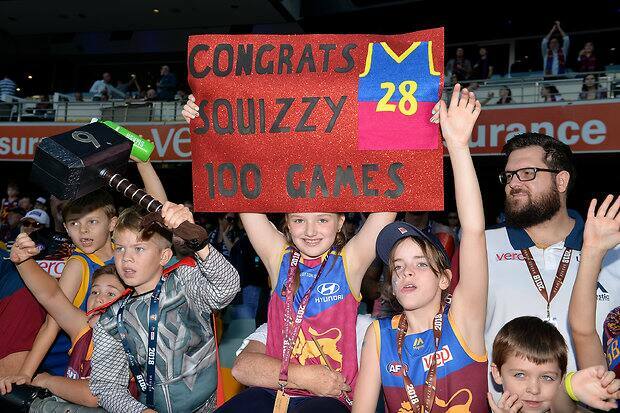 All the best social posts from Saturday's exciting win at the Gabba.